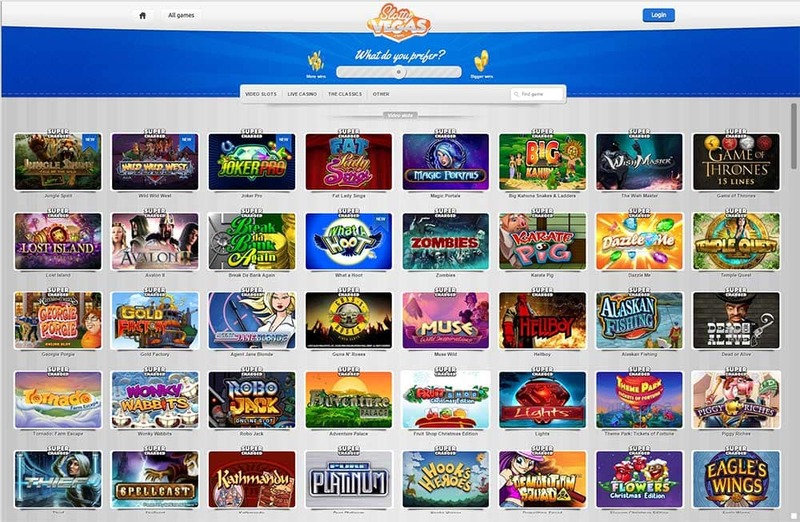 Launched in 2014, Slotty Vegas Casino has steadily been gaining popularity in the online gaming world. One of the main reasons being the Slotty Vegas’ “Supercharged” feature which boosts your winnings, meaning that you win even more with every win, making Slotty Vegas pay more than other casinos and gaming platforms. Winning with the Supercharged slot games will earn players even better rewards as the house will give an extra supercharge boost of 1%. 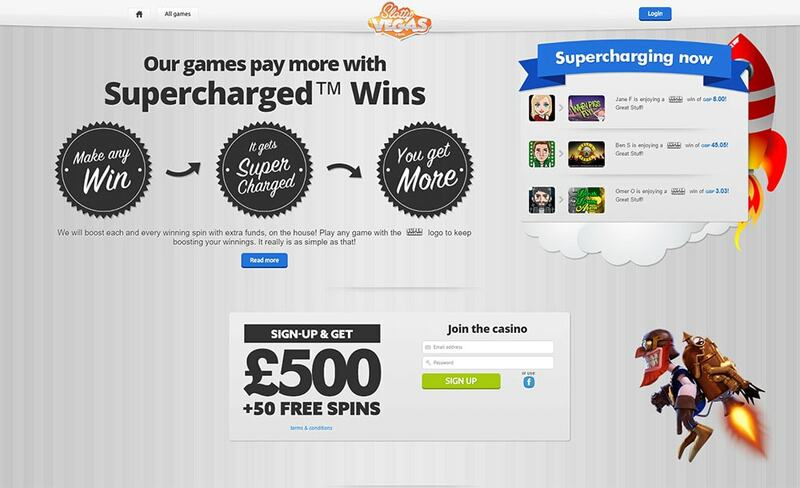 The money gained from Supercharged wins can be redeemed twice weekly. Players can keep track of how much extra cash they are getting from these winnings. It’s easy and surely another great reason to play at this casino. This casino is a haven for Slot enthusiasts, boasting a large selection of the best online slots from Microgaming and NetEnt, progressive jackpots with intricate animations and fun story lines. Popular games like Avalon 2, South Park, Dead or Alive, and Game of Thrones are all Supercharged. In 2017 there have been a few changes in the welcome bonus offer at Slotty which is now a very generous 100% Bonus First Deposit Bonus up to a maximum of €/£/$500 along with 50 Free Spins on the selected game of the week (changes weekly) which is generally a NetEnt slot. Slotty Vegas also offers a vast selection of casino classics such as Baccarat, Roulette, Blackjack, Caribbean Stud, and an assortment of Poker variations, video poker and more. Players can also enjoy live casino games of Roulette and Blackjack hosted by experienced professionals. This well-designed site is very clean and easy to use and offers over 700 games. No downloads necessary, games can be played directly in the browser. Slotty Vegas is also available to play on your mobile device. Signing up with Slotty Vegas is easy – you can create an account with just one click, connecting your Facebook or Google+ account. 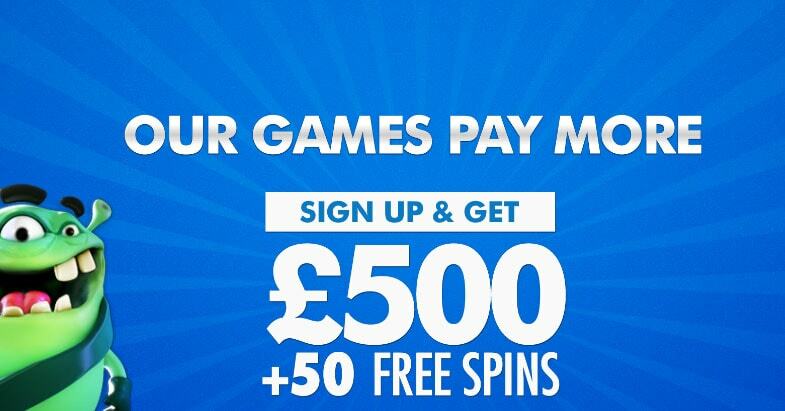 New players will be welcomed with a generous bonus and free spins. There are also daily competitions and lucky draws. Slotty Vegas is now also giving new players the possibility to earn up to £500 in bonus cash on your first deposit together with 300 Free Spins on the game of the week split between the first 5 deposits. This bonus scheme is limited and available only through selected sources. Opting in is easy, simply put in the respective promo codes when making their first five deposits and you will get the bonuses funded to your account. Withdrawals are generally processed within 4 hours, making things easy for registered and approved players. Withdrawals and deposits can be made with credit cards such as Maestro and Visa, popular e-wallets such as Ecopayz, Paysafe cards, Sofort, Entercash, Zimpler, Webmoney, Envoy, Neteller, and Skrill. If you need help, Slotty Vegas has a friendly professional and helpful team available 24hrs a day through Live Chat and email. Slotty Vegas Casino continues to offer players an awesome casino experience, not only are the bonuses and wagering rates very competitive but there are also many other regular promotions and offer for existing players and newly added slots tournaments too. Factor in the unique Supercharged and Turbocharged winnings feature and you have plenty of great reasons to go check them out. 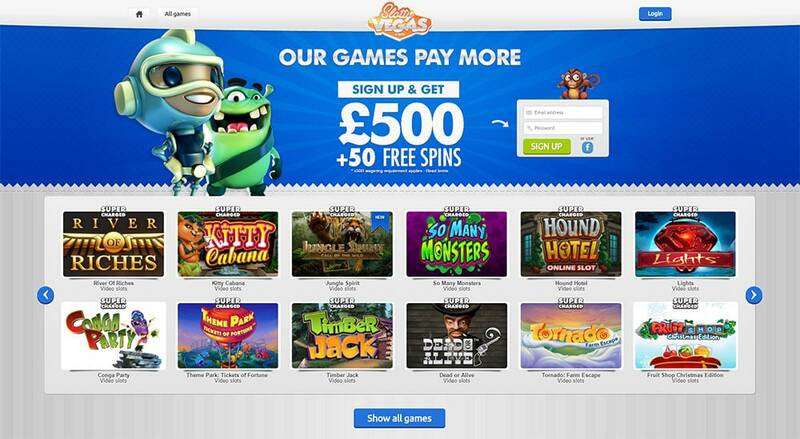 If you are looking for a casino with an awesome range of slots and super quick withdrawals then definitely pay them a visit and make use of our exclusive welcome offer, simply click below to get started!